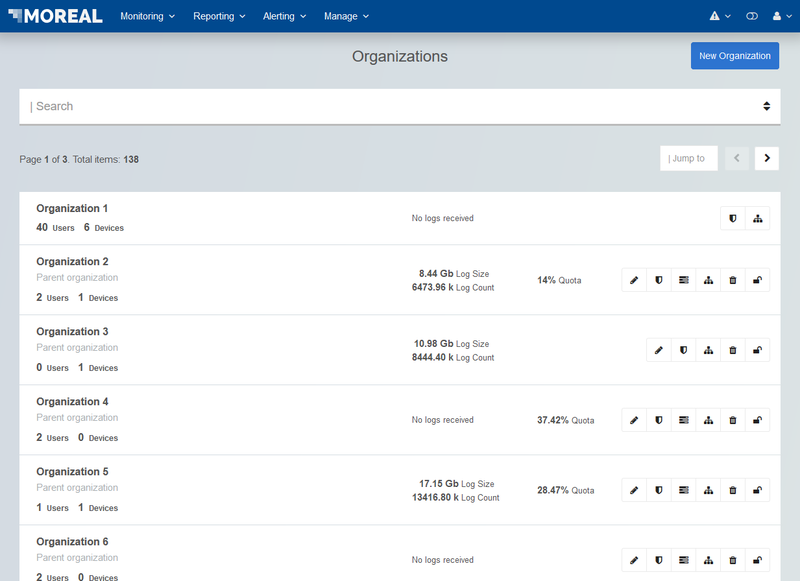 The Assets screen for each organization can be accessed through the Organizations overview screen by clicking on the button that illustrates a sitemap . The Assets screen can be accessed when using the corresponding button that illustrates a sitemap from the Organizations overview screen. An asset can be any non­-network appliance element inside your organization. It can be a Mail Server, a Local DNS proxy, or just about any element that has network connectivity. Assets with only local subnet connectivity can also be added, but since same­ subnet flow is not logged, it will have little benefit to do so from a traffic monitoring viewpoint. Assets allow MOREAL to provide a more detailed overview of an organization’s network, as well as automatically adapt it’s alerting engine and analysis. Are tightly integrated with Vulnerability Assessment reports support, essentially unifying real­time network monitoring with the organization’s network security state. Enhance network visualization by using their friendly name (the name chosen when adding a new asset) and being depicted with different symbol to be easily distinguishable and monitored. Allow for advanced correlation procedures, producing alerts and notifications tailored to the specific ecosystem. 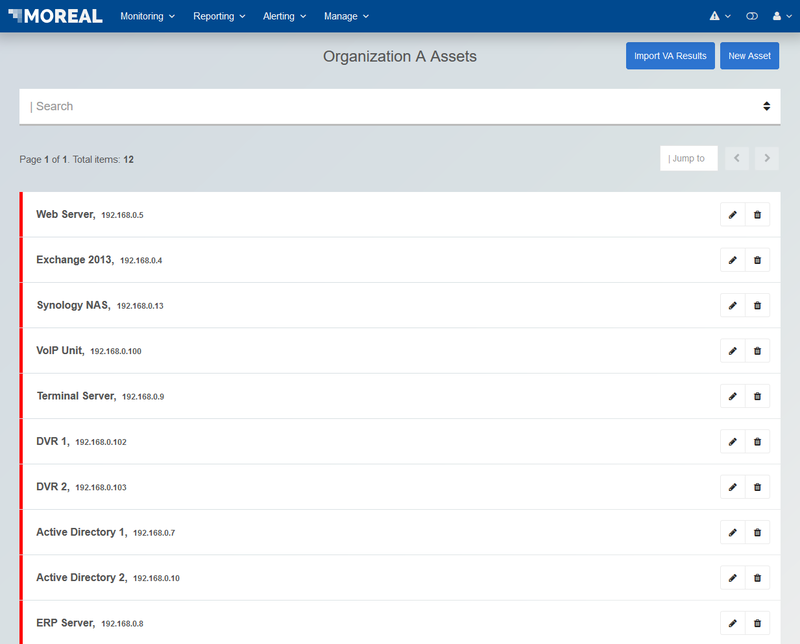 The Assets screen lists all known assets of an organization. The asset VA score. This score is available after a relevant Vulnerability Assessment report has been uploaded and is based on found vulnerabilities’ CVSS scoring. Your feedback has been received and will be reviewed shortly!